The first thing that you need to understand about Udacity is that this is a for-profit educational organization. It was founded back in June 20117 by David Stavens, Mike Sokolsky, and Sebastian Thrun. This is the outgrowth of the free computer science classes which used to be offered back in 2011 by the Stanford University. Thrun, one of the founders, stated that he hoped that more than half a million people would enroll after the initial enrollment amounted to about 160,000. By March 2012 90,000 more students had signed in the initial two classes. Partnering with AT&T, Udacity managed to launch the first massive online open degree in 2014. This is complete master’s degree which is carried through the program, and it costs $7,000. There are quite a few different courses which are currently available to the wide public. People from all sorts of backgrounds use the platform. The instructors in Udacity are highly skilled and reliable professors with years of experience in their respective fields. This is the main reason for which the program is so successful – because it provides quality information and tremendously beneficial education. This is definitely on of its strongest suits. Of course, every single thing has its own pros and cons. This is important, and it needs to be outlined in order to ensure that everything is kept absolutely objective. With this in mind, below are some of the pros and cons that you might want to take into account. The content provided by the platform is splendid. It’s obvious that it’s tailored to the needs of the students. It’s relevant, up to date and particularly effective – something of tremendous importance. The lecturers are very engaging. In order to keep your utter attention, the lecturers of Udacity are particularly engaging. This is something important and it’s going to keep you going. Furthermore, the community of users is also helpful and very robust. There are office hours. 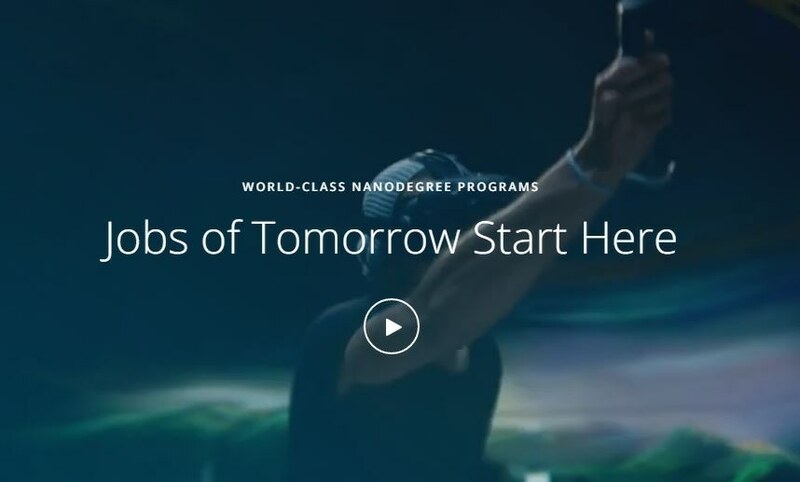 This means that you will be given plenty of opportunities to ask questions about your nanodegree – this is something that’s capable of being an eye-opener. Udacity has also managed to structure its courses in a way that they take advantage of a project-based approach. You will be learning new things through doing certain things. This is how problems are faced in the real world – by having to go through real projects. There are both free and paid tracks. The content provided is tremendously relevant to what the industry is currently in need of. You will be taught by expert instructors which eliminates the margins for errors. The courses take a few months for you to fully finish them which might not always be enough. A lot of the courses pose challenges which are incredibly difficult for someone to handle. The complexity and the length of the challenges posed by Udacity are as in-depth as University degree information rather than one which you’d find on a learning website. You need to do extensive outside research in order to go through the course which is definitely something that you might want to consider. The courses require significant amount of knowledge and preparation in advance. That’s most certainly one thing that has to be accounted for should you want to be effective. These are summarized pros and cons of the program. It’s quite obvious that the former overweigh the latter and it’s something that you should be definitely well aware of. With this in mind, let’s move on to the pricing. Now, there are quite a lot of different things that you would need to account for when you go ahead and figure out the pricing of a Udacity course. Right off the bat, there is a tremendous amount of different courses, all of which are actually different. Some nanodegrees, for instance, are self-paced and are charged on a regular monthly basis – they could cost you $199 per month, for instance. Others, however, have one-time payment options and they can go to as much as $7000. Of course, you would be given the chance to pay in a few terms. The truth is that Udacity is a learning platform with a tremendous amount of quality information. The instructions and the content which are offered are top notch. The programs are also a lot tougher and much more difficult than a wide range of different online learning platforms, and that’s something you should account for. If you have proper support and are highly motivated to learn and expand your education and take it to the next level, this is most definitely the program that you should take into account.